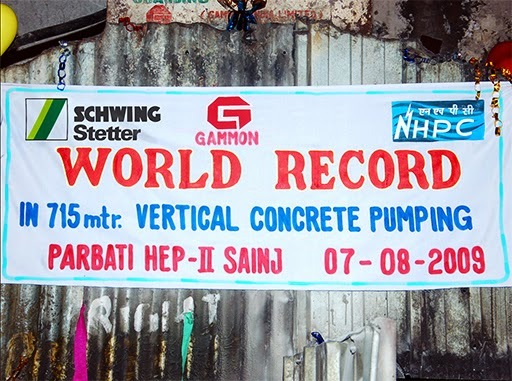 I was recently looking into records for concrete pumping and was pleasantly surprised to find that we still hold the word record for vertical distance pumping of 715m which was achieved using a Schwing SP4000S stationary concrete pump by the team working on the Parbati Hydroelectric Project in northern India back in 2009. The project was to create two pressure shafts each 1550 m long x 3.5 m diameter inclined at 30° to create a vertical drop of 750 metres. The main contractors, Gammon India Limited, chose Schwing-Stetter to provide all the concreting equipment for the job including batching plants, transit mixers and concrete pumps. The two tunnels had to first be excavated with a TBM from the bottom up and then a steel liner was installed by lowering each 6 meter section from the top and welding it in place as they went. The surrounding annulus then needed to be back-filling with concrete (around 7,000m³ for each shaft) and this was pumped from the foot of the shaft upwards over a total 1.5km length (and vertical rise of 750m) and into place. We are talking nearly ¾ of a kilometre upwards here! 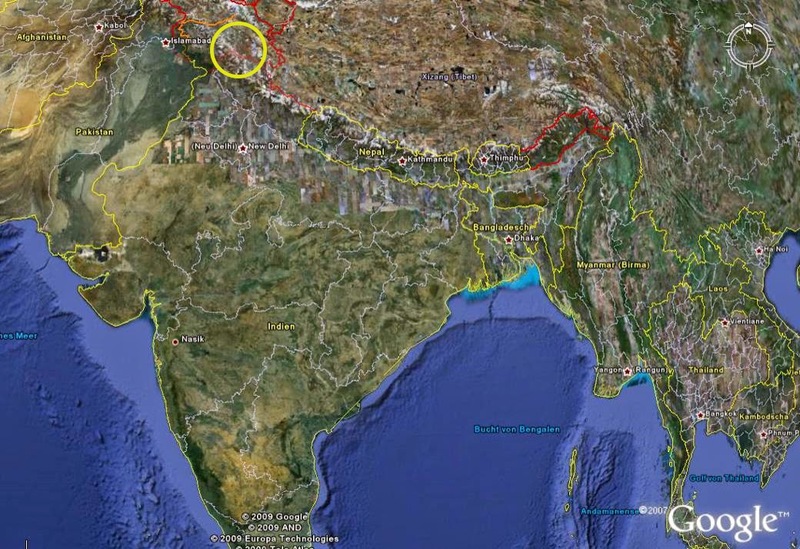 A total distance pumped of 1½km in a single line push would be impressive in it's own right without even having any vertical component. Setting the vertical record at 715 metres at the same time is astonishing. The concrete pressure reached was over 220 bar as they pumped to the top section and the concrete at the top continued to flow at 12m³/hr. What is even more astonishing is that the SP4000 which did the work is a medium range pump and not even Schwing's most powerful model, which is the SP 8800. In addition to that, the only ware parts that needed changing during the 7,000m³ concrete pour (plus around 2,000m³ of water) were two kidney seals. To get some idea of the high specification of the machinery we are dealing with here, when cleaning out the pipe with water any gap between the main wearing parts in the pump would have made it impossible to generate the water pressure required. It would have come squirting out of the smallest of gaps. However even after setting such a record pumping concrete, the SP4000 was able to pump water at this pressure - proof of the self-sealing and low wear features of the Schwing ROCK valve. The Schwing SP4000 not only set the world record for concrete pumping, it took the world record in its stride and kept going! What an amazing piece of engineering!